Love your wonky quilt. You have a great way with color. I love color! Hi Caroll! Thank you 🙂 I really love working with lots of color too. 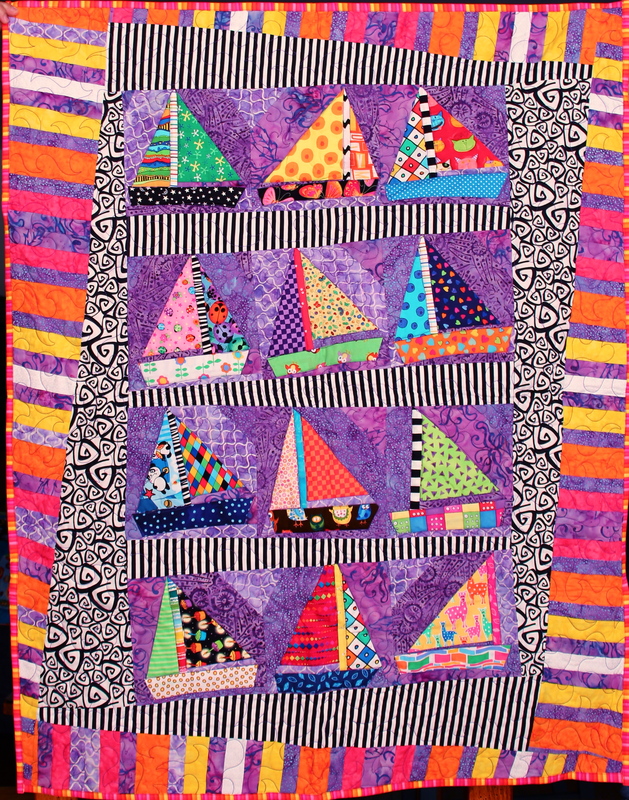 What kinds of quilts do you like to make? 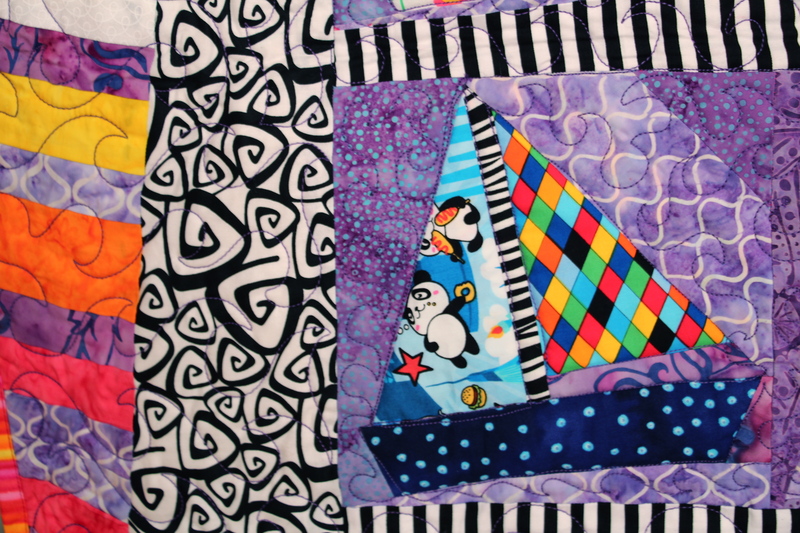 I’m like you in that I like to make any quilt with lots of color. Right now I’m leaning to more modern patterns and wonky ones. I just love playing with fabric. I am working on a pattern from a book called Simply Retro by Camille Roskelley. The pattern is called Retro and I am making it in bright colored dot fabrics. I’ll post it when I am finished. These boats are gorgeous. 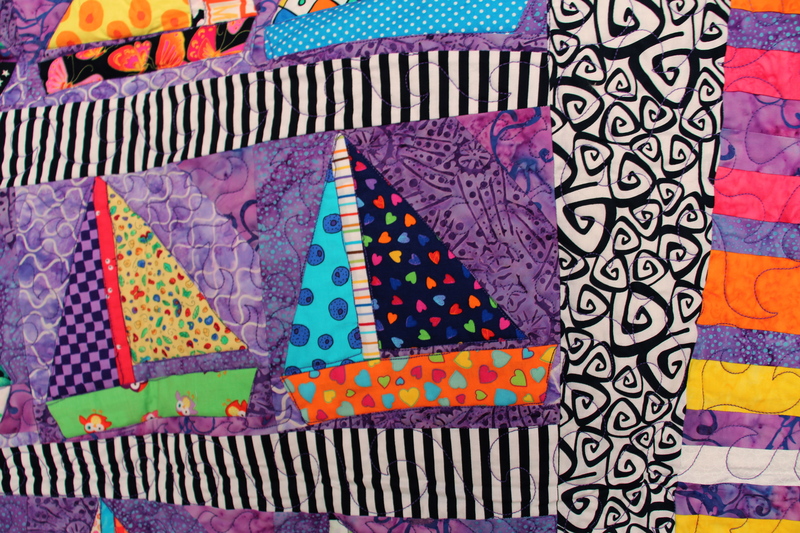 What a great idea for a quilt. Always love these bright and vibrant fabrics.